Let sleeping ducks lay. But not lay eggs. Because messy bed. 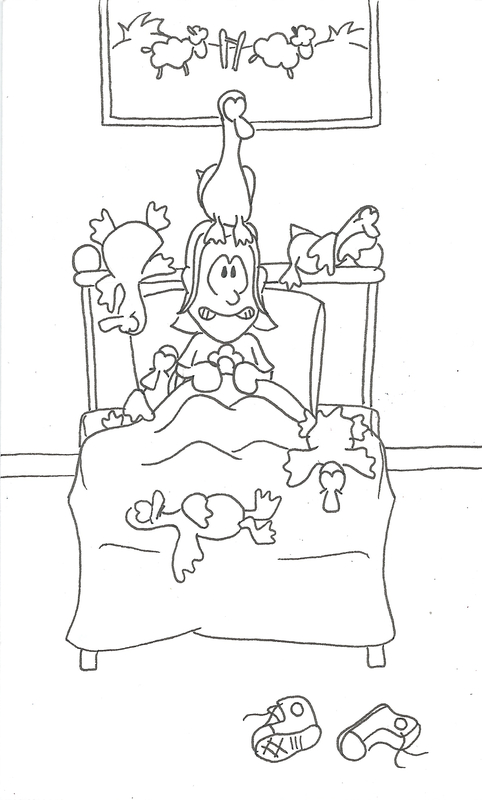 to find she had too many ducks in her bed. but half of her blankets were covered with bird. 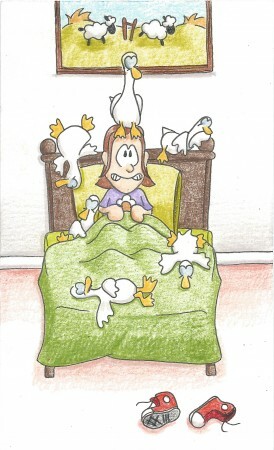 to wake unexpectedly covered with duck. was kicked out the door by the ducks in her room. to sleep by the banks of the river instead. impatiently waiting ’til spring had returned.